German Chancellor Angela Merkel and Dutch Prime Minister Mark Rutte secretly agreed to accept hundreds of thousands of refugees from Turkey each year as part of an EU-Turkey deal but did not inform other EU leaders, a book by a German journalist says. The two European leaders met with then Turkish Prime Minister Ahmet Davutoglu to discuss the details of the EU-Turkey refugee deal in private the night before the EU-Turkey summit in March 2016. The details of the secret trilateral meet where the deal was struck, has been revealed in a new book, 'Driven by Events: Merkel’s Refugee Policy,' by Robin Alexander, a journalist with Die Welt. 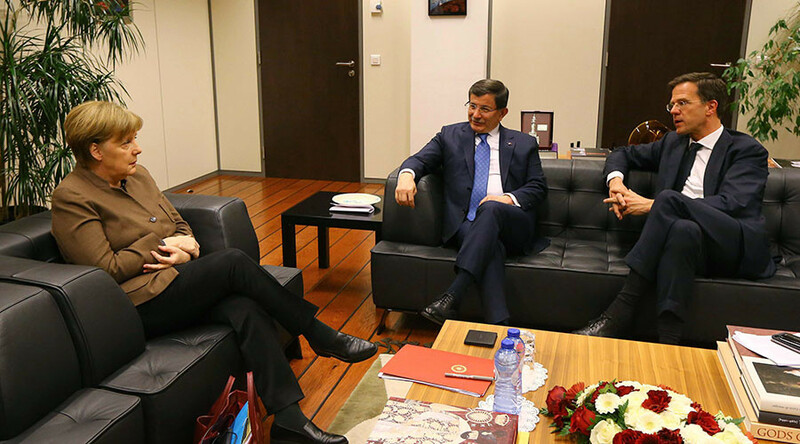 During the meeting, Merkel, and Rutte, who held the rotating EU presidency at that time as the Dutch PM, agreed on all the major provisions of the future EU-Turkey agreement which was later presented at the summit as a spontaneous Turkish initiative. In particular, they gave consent to the idea of Europe taking between 150,000 and 250,000 Syrian refugees from Turkey each year even after the massive inflow of asylum seekers and migrants to Europe would have subsided and the principle, under which the EU should accept one Syrian refugee for each asylum seeker returned from Greece to Turkey, would not work anymore. However, this particular 'deal' never made into the official text of the agreement and remains a “gentleman’s agreement” between Merkel, Rutte and Turkish authorities, Alexander writes in his report, citing unnamed officials that “were directly involved in the negotiations” between the three leaders on the night before the summit. This wording was then approved by all EU leaders at the summit in March 2016. 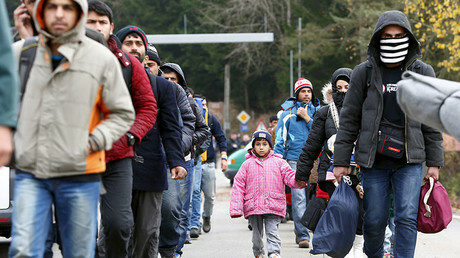 However, it also envisaged voluntary participation of the EU countries in this admission program, Alexander says, explaining why Merkel was so persistent in imposing a mandatory refugee quota on other European countries – in case all other EU members refused to accept refugees from Turkey; Germany and the Netherlands would have to deal with all of them on their own. Another big concession made by Merkel and Rutte is that it was the Turks who in the end decided who would be sent to Europe within the framework of the agreed refugee quota system. Under the agreed deal, the Turkish interior ministry was entrusted with compiling the lists of refugees it believed should be sent to Europe, with the list later to be reviewed by the office of the UN High Commissioner for Refugees. According to Alexander, “people with a college or university degree or skilled professionals never made it into those lists.” “Even healthy [people] were few in the trains going to Europe: the Turks allowed exclusively seriously injured or traumatized refugees to resettle,” he says. The author writes that the EU-Turkey deal was designed to become not only an alternative to the simple closure of the so-called Balkan Route asylum seekers used to get to Europe but also a “more extensive solution” to the refugee crisis. The journalist also writes that Merkel later claimed that Germany decided to open its borders and take in a significant proportion of refugees to give the EU time to develop a common solution that would eventually replace the EU-Turkey deal. She did not want the whole situation and her policy to be made obsolete by a simple closure of the Balkan Route. However, the author assumes in his book that the deal was not as necessary as it seemed. The EU-Turkey deal came into force 11 days later. Earlier, another report by Die Welt citing Alexander’s book said that, in 2015, Merkel decided to keep the German borders open as she feared that images of violence would make her government unpopular, although she was on the verge of closing the borders instead of welcoming refugees.